My friend called tonight saying saw Teddy on CBC News Toronto at 6 featuring Dragons' Den Day celebration. 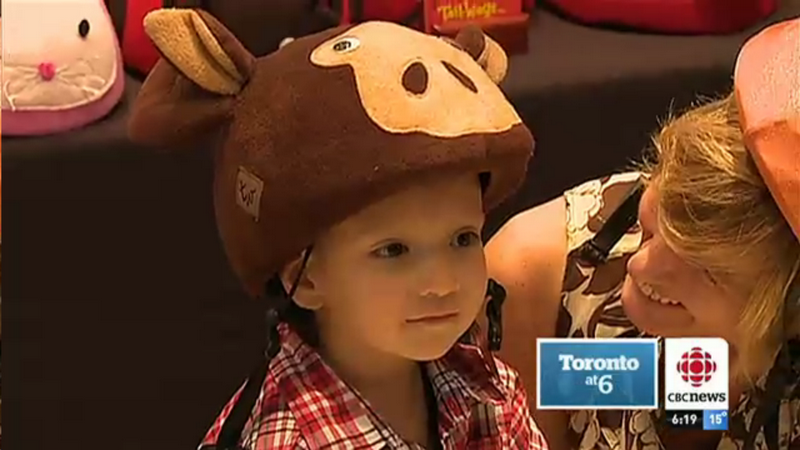 So I checked the broadcasting and found the piece when my boy with Karyn Climans from Tail Wags trying on her cute helmet covers. We even took one to Teddy's skating lesson earlier today. Cool!